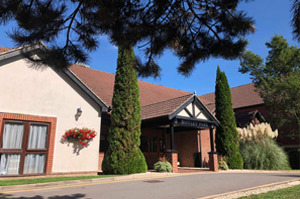 the Macdonald Botley Park Hotel, Winchester Road, Boorley Green, Southampton SO32 2UA. 15 minutes from Southampton Parkway. Train times can be found on National Rail or by calling 08457 48 49 50 from anywhere in the UK. Megabus run a twice daily bus service from London Victoria Coach Station to Southampton. National Express also run a regular coach service direct to Southampton from London Victoria Coach Station. 5 miles / 8 minutes from M27 junction 7. 6 miles / 15 minutes from Southampton Airport. In addition to 4 star accommodation at the Macdonald Botley Park Hotel, there is a vast variety of hotel and B&B accommodation in Southampton, why not contact the Visitor Centre below, or visit the web sites listed for assistance.